Golf Travel Vacations are specialized packages that are custom created just for your needs. This includes playing golf, staying in a highly recommended hotel and having the proper safe transportation to get you to your necessary destination. Usually these destinations include Championship Golf Courses and resorts known for its relaxing ambiance, professional service and luxurious amenities. 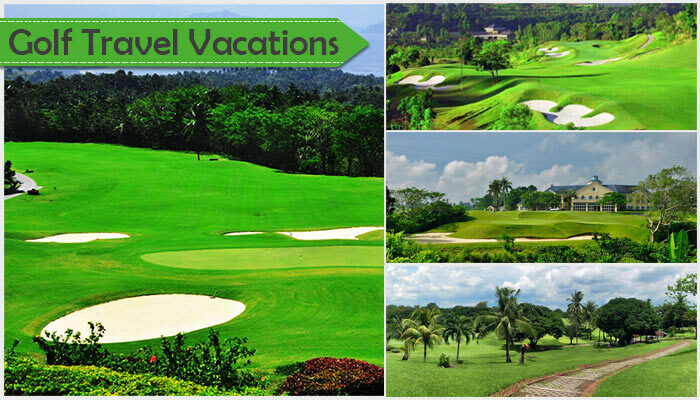 If you ever want to plan a perfect golf vacation outside of the Philippines, let us help. Whether you are going on vacation with your business partners, family, friends, or with your loved ones. We can make it happen. It doesn’t matter the location or the number of the players, let us customize a trip to your liking and give you a free quote. If you don’t see a location on our list, most likely we can still get you a quote. Booking with our company will make your vacation more relaxing and hassle free. Let us do the work for you, while you focus on golf.